This villa is an old country house located in the vicinity of Modica, a small, charming baroque town in south eastern Sicily. 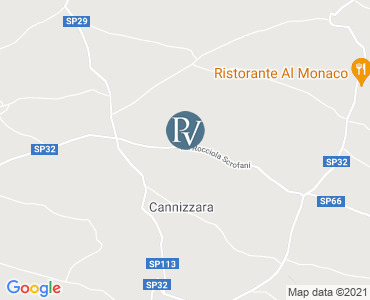 Situated along a back road that goes through this area's sweet countryside, the villa has easy access to the nearby famous towns in the Val di Noto, such as Scicli, Ragusa-Ibla, Noto and Siracusa, and to the important archaeological sites of Cava d'Ispica and of the Oasi di Vendicari and, of course, to the renowned beaches of Marina di Modica and Pozzallo. This beautiful villa, expertly renovated, is part of an old, charming 'baglio' - a traditional, rural architecture which was built around an internal courtyard that includes the manor house itself and the close farmhouse, occasionally occupied by the owner. Beyond the courtyard is the large swimming pool with terrace-solarium surrounded by a luxuriant garden with citrus trees and typical Mediterranean plants of the area. The villa has cosy, well-proportioned interiors decorated with unique, tasteful furniture and is the ideal place for those looking for relaxation and refined atmosphere. Entrance / living room, living/dining room with kitchenette, one double bedroom with a single sofa bed and ensuite bath/shower room, one double bedroom, one bedroom (120cm French bed) with ensuite shower room, 1 bath/shower room, laundry room, terrace, private garden, swimming pool, solarium. Swimming pool, unheated. External shower. All prices are per week for the villa only. Villas are booked between 4pm and 9pm on your arrival day (Saturday) to between 8am and 10am on your departure day (the following Saturday). Please note that availability shown is subject to confirmation.